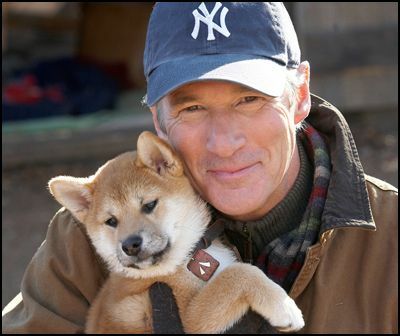 So I am reposting an essay about a Japanese dog that has been a long-term favourite of many readers of Learning from Dogs. Apologies if you have read this before. More than a film, a message from dogs to mankind. We recently watched a film about an Akita dog called Hachi, Hachikō in Japanese, that demonstrates the loyalty that dogs can have for their human owners. In 1924, Hidesaburō Ueno, a professor in the agriculture department at the University of Tokyo took in Hachikō as a pet. During his owner’s life Hachikō saw him out from the front door and greeted him at the end of the day at the nearby Shibuya Station. The pair continued their daily routine until May 1925, when Professor Ueno did not return on the usual train one evening. The professor had suffered from a cerebral hemorrhage at the university that day. He died and never returned to the train station where his friend was waiting. Hachikō was loyal and every day for the next nine years he waited sitting there amongst the town’s folk. 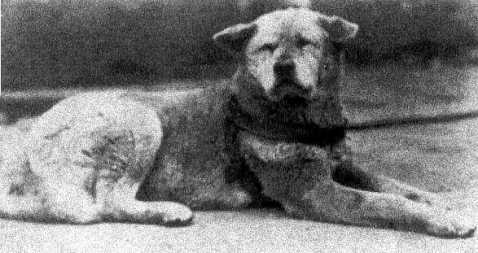 Hachikō was given away after his master’s death, but he routinely escaped, showing up again and again at his old home. Eventually, Hachikō apparently realized that Professor Ueno no longer lived at the house. So he went to look for his master at the train station where he had accompanied him so many times before. Each day, Hachikō waited for Professor Ueno to return. And each day he did not see his friend among the commuters at the station. That same year, another of Ueno’s faithful students (who had become something of an expert on the Akita breed) saw the dog at the station and followed him to the Kobayashi home (the home of the former gardener of Professor Ueno — Kikuzaboro Kobayashi) where he learned the history of Hachikō’s life. Shortly after this meeting, the former student published a documented census of Akitas in Japan. His research found only 30 purebred Akitas remaining, including Hachikō from Shibuya Station. Professor Ueno’s former student returned frequently to visit the dog and over the years published several articles about Hachikō’s remarkable loyalty. In 1932 one of these articles, published in Tokyo’s largest newspaper, threw the dog into the national spotlight. Hachikō became a national sensation. His faithfulness to his master’s memory impressed the people of Japan as a spirit of family loyalty all should strive to achieve. Teachers and parents used Hachikō’s vigil as an example for children to follow. A well-known Japanese artist rendered a sculpture of the dog, and throughout the country a new awareness of the Akita breed grew. Eventually, Hachiko’s legendary faithfulness became a national symbol of loyalty. 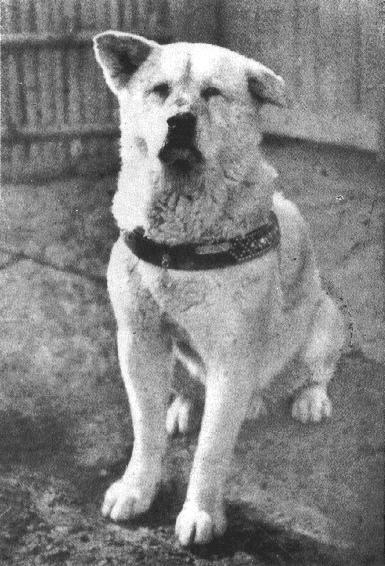 Hachikō died on March 8, 1935. He was found on a street in Shibuya. His heart was infected with filarial worms and 3-4 yakitori sticks were found in his stomach. His stuffed and mounted remains are kept at the National Science Museum of Japan in Ueno, Tokyo. The Akita breed has a great reputation for loyalty. But knowing that doesn’t in any way weaken the power of the message for the present times. A dog offers loyalty, trust and love in exchange for being treated with integrity and compassion. That’s why we have so much to learn from dogs. 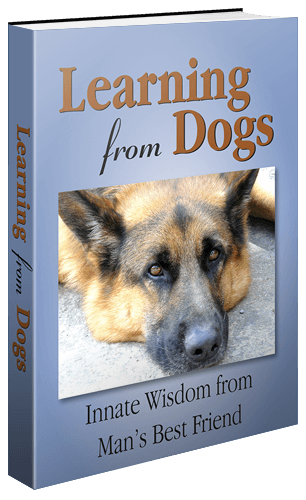 Note: This post was first published in August, 2010 and has remained a very popular read on Learning from Dogs since then. So here is that post once again, albeit with a few minor changes. We recently watched a film about an Akita dog called Hachi, Hachikō in Japanese, that demonstrates the loyalty that dogs can offer their human companions. Looking for sustainability? Try this! Sustainable is an overused word these days. All for the right reasons, of course! But how often is the word used in the context of relationships? Of the relationships between the domesticated dog and man? I suspect rarely. Take the example of the Japanese Akita dog called Hachi, (Hachikō in Japanese) that I wrote about almost a year ago. In 1924, Hidesaburō Ueno, a professor in the agriculture department at theUniversity of Tokyo took in Hachikō as a pet. During his owner’s life Hachikō saw him out from the front door and greeted him at the end of the day at the nearby Shibuya Station. The pair continued their daily routine until May 1925, when Professor Ueno did not return on the usual train one evening. The professor had suffered from a cerebral hemorrhage at the university that day. He died and never returned to the train station where his friend was waiting. Hachikō was loyal and every day for the next nine years he waited sitting there amongst the town’s folk. “…. every day for the next nine years he waited sitting there amongst the town’s folk” Truly a sustainable relationship. Now to something closer to home; literally. The Payson Roundup is our local newspaper. Last Tuesday’s edition had the following story which Tom Brossart, Editor, has kindly given me written permission to reproduce here on Learning from Dogs. Thank you, Tom. Logger is Harold Green’s best friend. Logger isn’t a flannel-wearing, tattooed burly woodsman; he is a sweet-tempered chocolate Labrador retriever. And this best friend saved Green’s life. Green makes his home up in Happy Jack. Recently he and Logger drove into the woods and went for a walk, and then Green had a heart attack. He didn’t have a history of heart disease, but all of a sudden his chest became tight. He collapsed and on his way to the ground, he hit a fallen log and wound up hitting his forehead and nose, tearing his bottom lip away from his gums, cutting his chin and breaking a rib. “Right before I had the heart attack I had a page there was a fire, and that’s the last thing I remember,” he said. Green is an emergency medical technician with the Blue Ridge Fire Department. Green was conscious long enough to dial 911 and try to explain where he was. He heard the sirens go past him and with that information; the emergency responders had a place to start looking for him. At that point, Logger left Green’s side to go to the rescue personnel. “From what they told me, he was like Lassie. He came running to them, barking, and started running back to me, stopped and made sure they were following,” Green said. The first person on the scene with him was a law enforcement officer with the Forest Service. Green said he told him his nose was bleeding so much he thought it was broken. Next to arrive was a deputy sheriff. Green said he later learned the guy was off duty, but came to help anyway. The Blue Ridge ambulance crew arrived next. Green said when they first reached him his heart rate was in the mid-40s and he had no blood pressure. The rescue team stabilized him and carried him out to the ambulance to take him to the fire station where a helicopter could land. “They said Logger tried to get into the ambulance with me,” Green said. He said he has little or no memory of everything that took place, when he woke up he was in the hospital in Flagstaff. Logger couldn’t ride in the ambulance with Green and couldn’t come see him in the hospital, but since he has been out, the dog has not been more than three feet from him for three weeks. “It is really humbling to have so many friends there to help you out,” Green said. The people who came to his rescue were all friends and, just like Logger, they did what best friends do, except it was something they do every day, for friends and strangers alike. 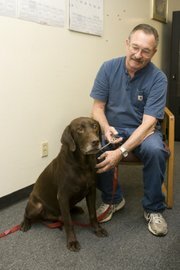 Logger has been part of Green’s family for seven years, joining it when he was just a puppy. Green is the son of longtime Rim Country Realtor Bea Baxter, who has been in the community for around 40 years. So dear, lovely Logger also demonstrated the same, deep sustainability of relationship that Hachikō did back in 1925. There is so much that we can learn from dogs. Think about sustainability, as it relates to the relationship between dogs and man. It goes back at least 30,000 years. It’s an unimaginable length of time. In this context, sustainability is an underused word! 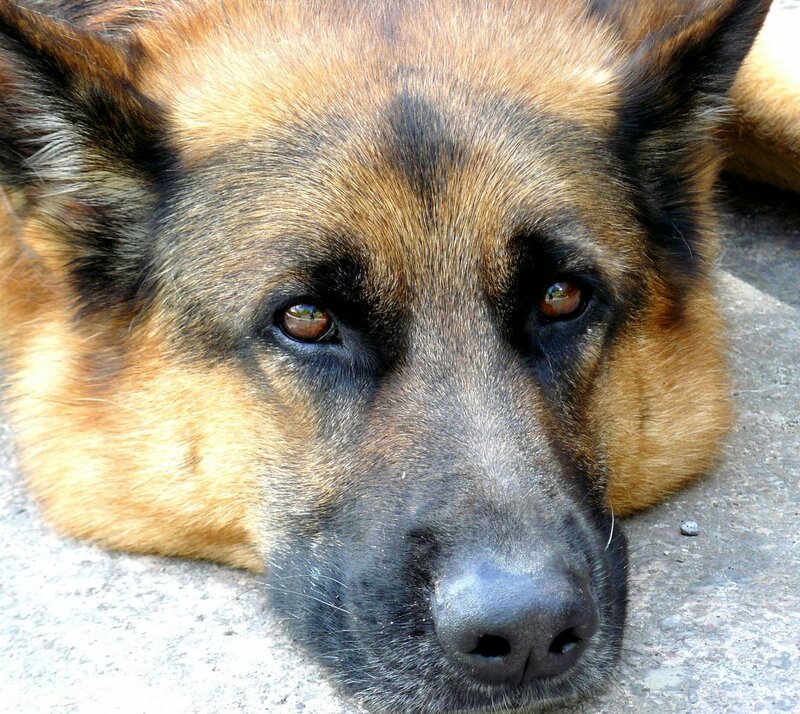 A dog offers loyalty, trust and love in exchange for being treated, in turn, with integrity and compassion.